We have a new RAQ over at Unruly PaperArts with another prize up for grabs with month a $70 prize kindly donated by Robins Nest. 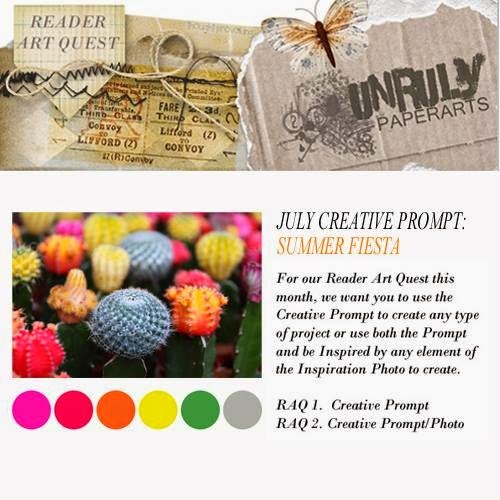 Here is the prompt for this month and above is a little peak of my project. I do hope you will hop over to see it in more detail.